With the release of its likely final installment, Claire and Kyle take a look at the Uncharted videogame series. It’s hard to see the main character, Drake, without thinking of Indiana Jones. Claire delves into the cartoon strips, B – movies, and adventure films that birthed one of America’s greatest fictional heroes. Along the way she traces the transformation of the archaeologist/treasure hunter over time–he didn’t always get the girl. Next, Kyle discusses the beginning of Naughty Dog Studios and the transition they made from 3D platform adventures with a bandicoot, to cinematic action/adventure games. 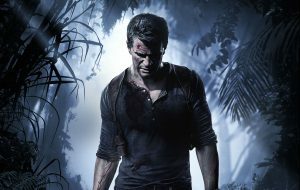 They finish with their fond memories of Naughty Dog games, what the studio has achieved with Uncharted, and a few thoughts on how homage to classic films can go too far.